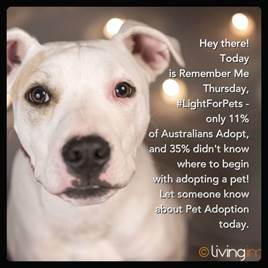 Remember Me Thursday® is a worldwide awareness campaign committed to ending pet euthanasia and promoting pets available for adoption. See what organizations have done in the past, and get ideas for your 2018 Remember Me Thursday® campaign! 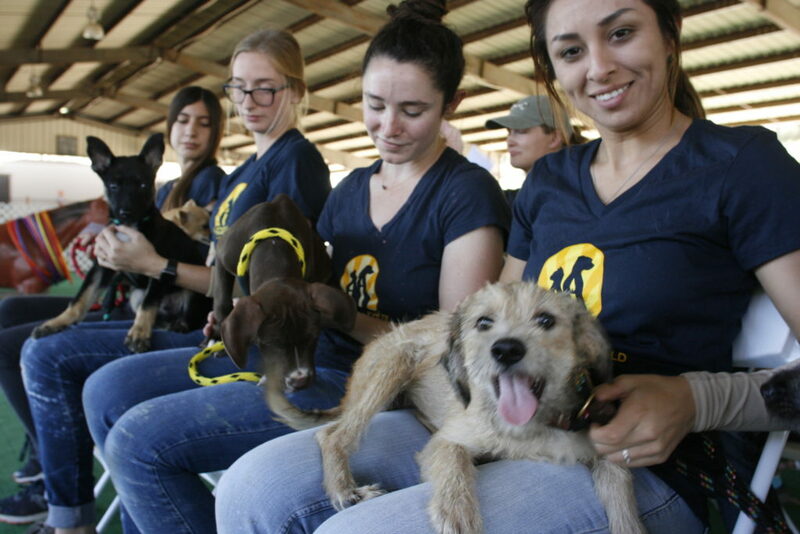 Remember Me Thursday events started early for Helen Woodard Animal Center! 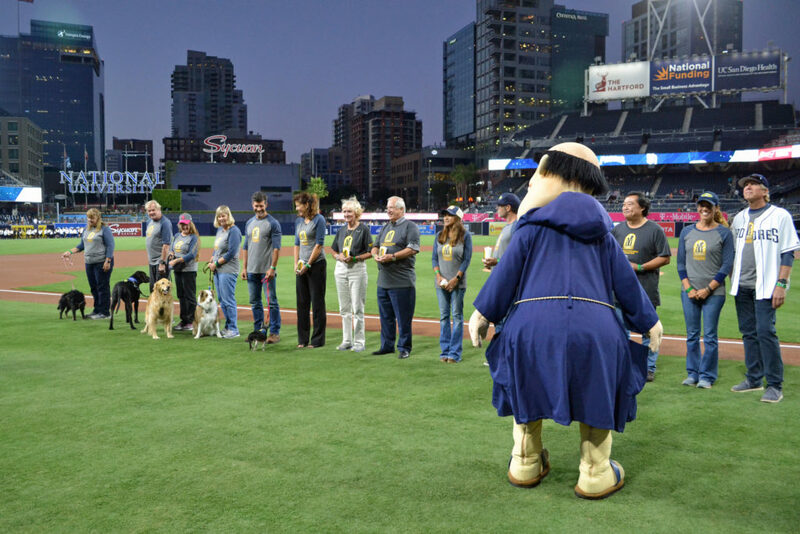 On September 21st, at the San Diego Padres baseball game at Petco Park, Center representatives lined the field with candles and PET dogs, while friend of the Center, Peter Noll, threw out the first pitch! Additionally, the Remember Me Thursday video was shown on the JumboTron. A couple weeks before the date, Helen Woodward Animal Center hosted a giant art sculpture by local Rancho Santa Fe businessman turned pop-up artist, Michael Lamb. 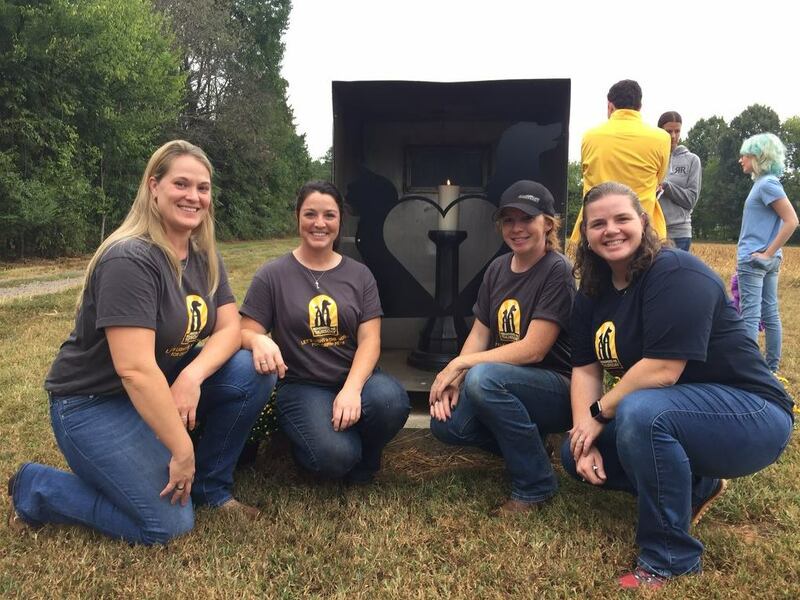 In-house artist, Amy Huzil, built candles to accompany the sculpture, and members of the community stopped by to sign messages of remembrance and love for pets in their hearts. 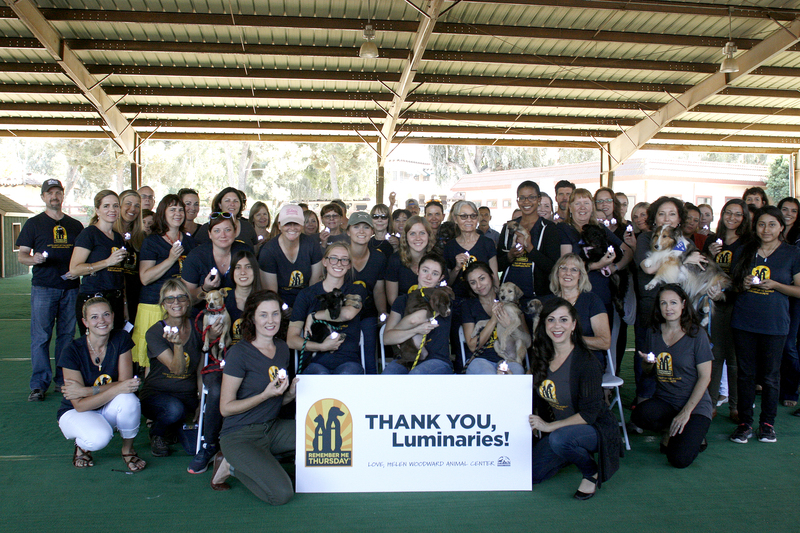 On September 28, Helen Woodward Animal Center staff and volunteers were spread out across San Diego County to honor the day. The first stop was Turtleback Elementary School, where Education staff members worked with groups of first graders to learn the story of Frizzy Izzy and the importance of adoption. 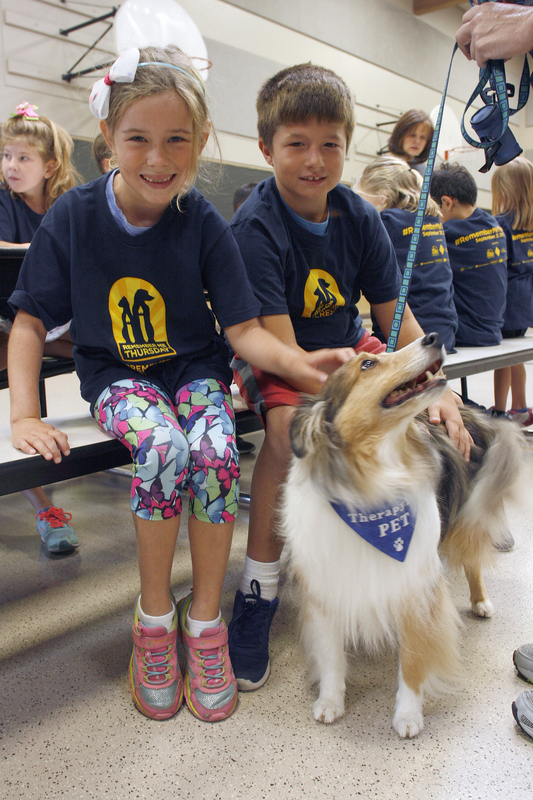 The students also got to meet very special Pet Encounter Therapy (PET dogs) and pledge to adopt. Next, a ceremony was held at the Center for all staff. President Mike Arms shared inspiring words to thank the staff for the work they’ve done to save lives, and reminded everyone of the goals ahead and the stakes of the mission. Attendees lit candles and watched the powerful video accompanied by the song “This Candle Burns Bright” by Stevie Woodward. In the evening, the community gathered in Balboa Park to picnic on the grass, enjoy dinner from a food truck, receive giveaways and spend time with their loved ones and furry friends. A representative from Congressman Juan Vargas’ office officially declared the date “Remember Me Thursday” day, and President Mike Arms shared more words of hope and remembrance with the community. After a screening of the Remember Me Thursday video, participants lit candles and united in a moment of silence, remembering loved pets that had passed and sending prayers to those who still have a chance at a forever home. Rescue Ranch is an animal welfare organization in North Carolina that has made great efforts in ending the use of gas chambers for pet euthanasia in the area. 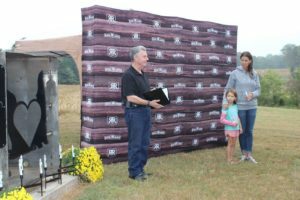 For Remember Me Thursday 2016, Rescue Ranch was joined by members of their community for a ceremonial groundbreaking for its new Memorial Gardens. In addition to the groundbreaking, there was a blessing and candle lighting ceremony for all orphaned pets who have lost their lives unnecessarily, as well as a ceremonial lighting of an eternal flame that will remain lit in the Rescue Ranch Memorial Gardens upon opening. The students’ second activity was “Be the Voice.” Each student would become the voice for one of PR Animal’s rescued pets and explain why they deserve to be adopted into a forever home. 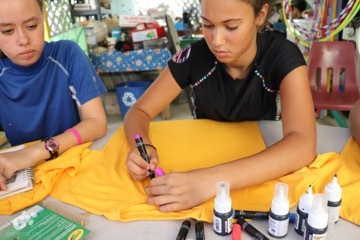 The third activity was “Getting Ready for Remember Me Thursday.” Students painted their event t-shirts with their favorite hashtags and scouted a location for their event. 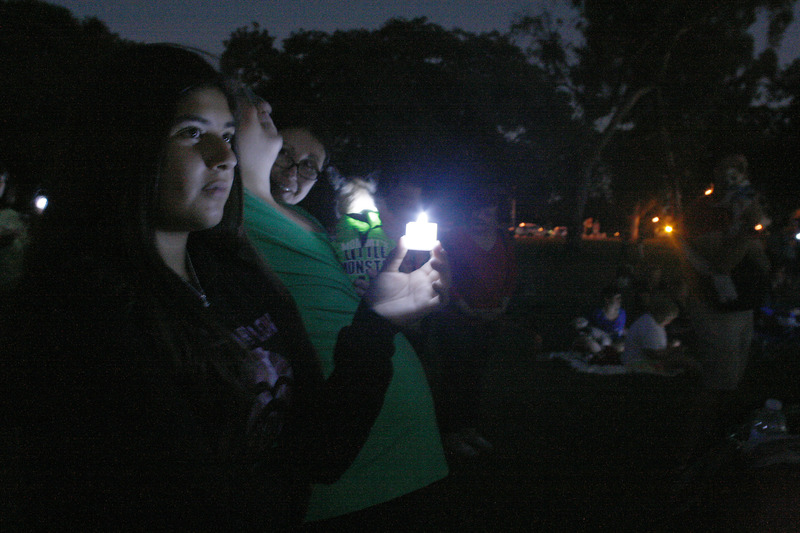 On September 22, a candle lighting ceremony was held on the beach with the students and their families. 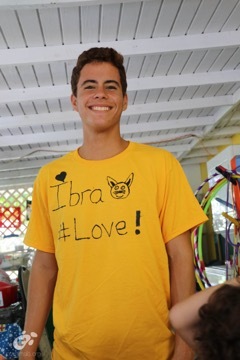 The children wore the t-shirts they made and sang songs together. For their first song, the students chose “Somewhere Out There” because they know there is someone special for every orphan animal. 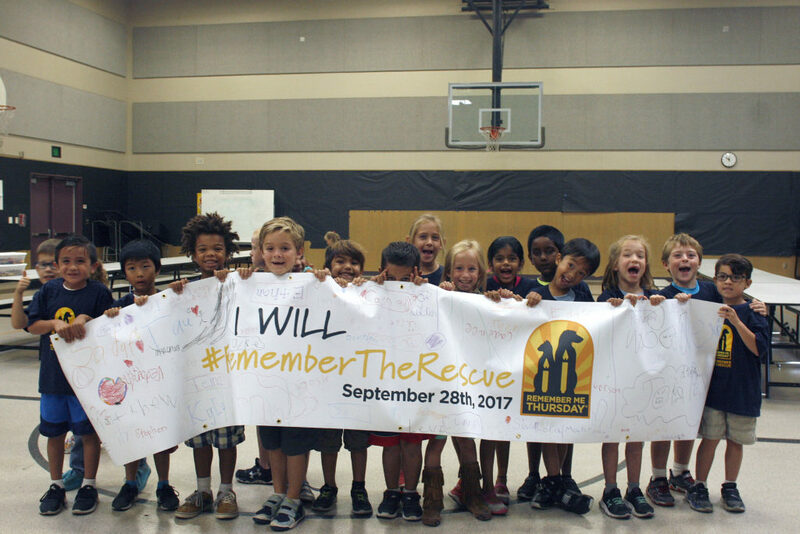 Then the children held photos of orphan pets waiting for forever homes that said “I remember” and the name of the orphan pet. They also remembered pets who are no longer with us. The children ended the program by singing “Happy Together” because that is why we are all working so hard for our orphan animals. During the event, Puerto Rico experienced a major black out, and even without electricity, the students worked together and held a very successful Remember Me Thursday event. 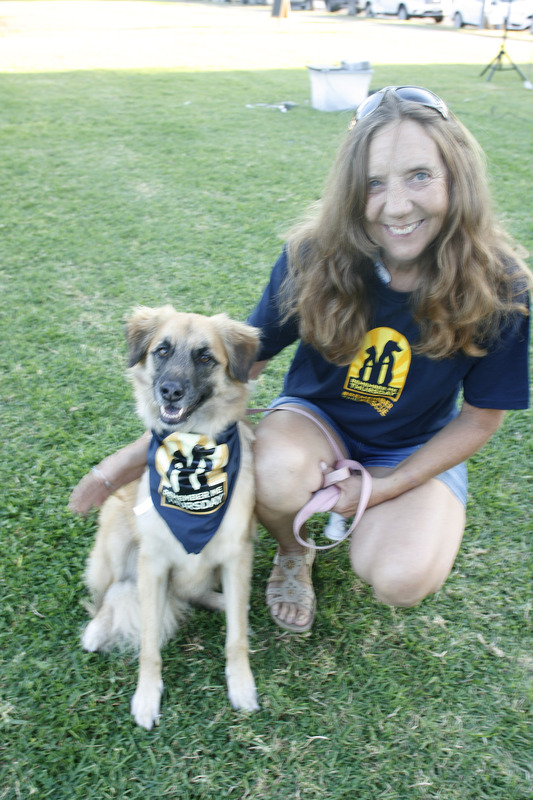 In September 2014, Maggie’s Rescue had a photo exhibit at the Addison Road Community Centre, which featured photographs, from Jo Lyons Photography, of pets who have gone on to find forever homes, as well as the ones who did not. This gallery event lead up to a pet-friendly walk and candle ceremony on Remember Me Thursday. Maggie’s Rescue is fortunate to have fantastic celebrity spokespeople: one of Australia’s most popular bands, Sticky Fingers. At the time, the group had the No. 1 requested song on their national radio station, and promoted Remember Me Thursday in a feature story, complete with a photo shoot with kittens from Maggie’s Rescues. The Addison Road Community Centre was a very appropriate place to have the Remember Me Thursday® candle lighting ceremony, because it was a World War I army barracks and training facility for war horses. Not only did this event shed a light on the pets who never found a home while waiting in a shelter, but it also shed a light on military horses who never made it back from war. (Left: When Cooper went home to his forever family, he was accompanied by two bottles of medication: one for fear and one for trauma. Now, Cooper is about to graduate from obedience school and has even passed a herding test! Everyone is so please with the positive changes taking place.